The centre-back focus on defending as the wing-backs push forward; the wing-back and midfielders defend, in addition to aiding with transition from defence to midfield; the attacking midfielders are responsable for transition and forming a front three; and the striker focus on create and move space for him and the teammates. The Standard mentaliy ties in with Atalanta's withdrawn defensive line when building from deep, altough this is repositioned further up field with the "higher defensive line" instruction to create high line along with the offside trap. Play out of Defence ensure patient build-up at back, while the goalkeeper usually sorts on the wings during the referral from the bottom, and Higher Tempo encourages the team to go about their business in an incisive manner, capitalising on any disorganisation. The role assigned to each player are basic. The wide-centre back are stoppers, pushing forward to tackle. The wing-backs are given attack duty, assisting in defence, pressing opposition before surging forward to join the attack. The midfielders receive the ball from defence, venturing to the edge of the opposition's 18-yard box. The wingers are creative pest all over the pitch. And the striker play as deep-lying forward, seeks space up front. The 3-4-3 formation creates a solid defence and attack, with the wing-backs being the fundamental component of the entire tactical system. 3 comments have been posted so far. 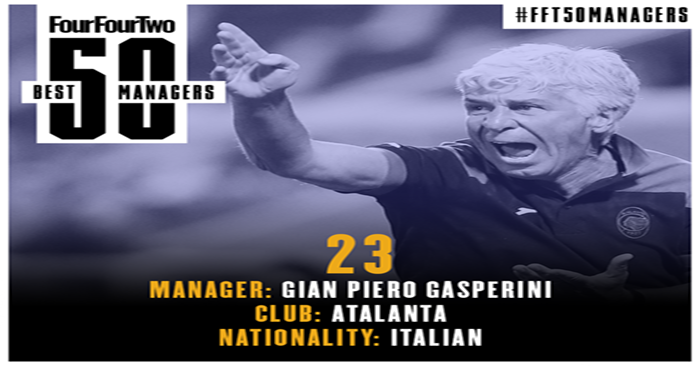 I love Gasperini and his Atalanta team, and I made a tactic based on his last year - will happily try out yours! My main issue was around keeping possession in a 3-4-3 shape but also making it so the play is built around the wings. Also getting Gomez to have the impact he has irl is difficult.